"Frank had his last broadcast yesterday and was clearly busy with everything except his last game! We too had a different view this last time and therefore our sincere apologies." Major League Soccer celebrated the biggest game of the season with the MLS Cup Final this weekend. 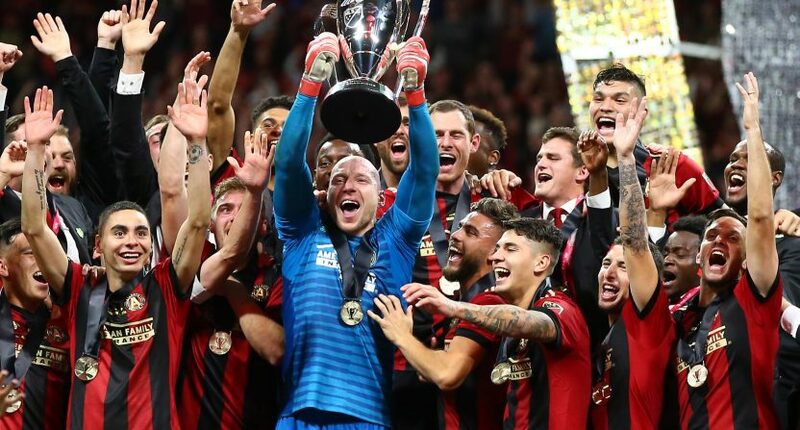 Atlanta United won their first title in front of over 70,000 fans defeating the Portland Timbers 2-0. While those of us stateside got to enjoy a normal broadcast through Fox Sports, viewers on Eurosport across the pond were treated to a more, well, unique telecast. It seems that in his last broadcast, veteran Dutch announcer Frank Kramer chose to more or less ignore the game completely. Instead of calling the action, Kramer spent his time reflecting on his career, reading a poem, talking about Donald Trump, and even singing Frank Sinatra. Yes, this actually happened on live television during the broadcast of a championship finale. According to the Google Translate edition from the website Voetballzone.nl, Kramer also completely ignored Atlanta United’s second goal and instead chose to keep going on about whatever random topic that he was talking about. Frank Kramer caused a stir at the final of the Major League Soccer (MLS) between Atlanta United and Portland Timbers (2-0). The former player of, among others, MVV, Telstar and FC Volendam provided the comment on this match on behalf of Eurosport, but did not say anything about what was happening on the field during the duel. The channel has already apologized via Twitter. During the game Kramer spoke about match fixing, Donald Trump, death and his career as a player. In addition, he sang a song by Frank Sinatra and he contributed a poem. During the second hit of Atlanta United, registered by Franco Nicolás Escobar, Kramer continued his story and did not say a word about the goal. The images of the commentary in the MLS final go viral on social media. Eurosport has already apologized via Twitter and announced that it was the last game Kramer commented on. “Frank had his last broadcast yesterday and was clearly busy with everything except his last game! We too had a different view this last time and therefore our sincere apologies, “the channel says. The 71-year-old Kramer worked for Eurosport as a commentator for years. Kramer played football for Blauw-Wit, FC Amsterdam, MVV, Telstar and Haarlem. After his active career he started as a television presenter and later commentator. The MLS final was won 2-0 by Saturday night on Saturday night by Atlanta United, by goals from Josef Martínez and Escobar. And yes, there’s actually video! You won’t understand it unless you speak Dutch, but it’s fascinating nonetheless. Perhaps Kramer really just had a lot of things he wanted to get off his chest before stepping away from the microphone. At this point, you’re probably thinking the same thing I’m thinking. What do we have to do to get Frank Kramer and Bill Walton in the booth to call a game together?